Employers have a job to make certain that their hardworking employees get their salaries during each pay period. However, they also have a job to ensure that their employees understand just how much they’re making and why they’re making the amount of money that they receive. This is the reason why employers have to provide their employees with pay stubs. 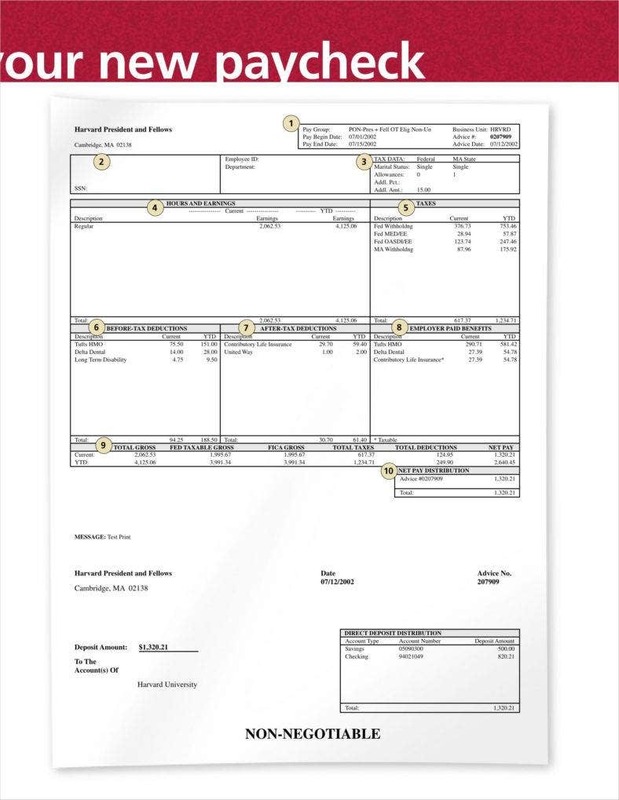 Pay stubs will give employees all the details they need to know regarding their salary. Plus, it’s a very helpful document in the event that the employee has any problems concerning his or her paycheck. A paycheck in itself does not provide employees all the important details that they need to keep track of when it comes to their finances. It won’t help them know what taxes were taken out of their paycheck stub template, the amount of taxes they have to pay, and the number of hours they’ve worked. In addition, employees are going to need these simple pay stubs in the event that they’re going to apply for a loan, refinance their house, or if they have to fill out their child’s college financial aid forms. But probably the most important reason as to why employees need their pay stubs would be because it will definitely help them out with their financial management. If they know just how much they are earning and what they’re going to be taking home with them at the end of every pay period, then they can allocate their budget accordingly to ensure that they’re living a well-managed lifestyle. Managing your finances. As mentioned before, one of the foremost reasons to make a pay stub is to manage one’s own finances. While accounting systems can track the money that goes in and out of the business well enough, pay stubs are useful as a secondary record that can come in handy when you wish to assess the success of your business. They’re even more important if they’re audited so try to make sure that they are in order. Keeping track of all of your employees. Another good reason why you would want to generate pay stubs is that they’re basically recorded to review whenever you would like to know more about an employee’s pay history. Plus, it’s also a good way for you to know if your employees are happy or not. All you have to do is take a look at their pay slips and make any of the necessary monetary adjustments that will allow you to address employee satisfaction. So if an employee comes up to you with a problem with his or her paycheck, then all you have to do is find the problem, fix it, then you might just see your employee smiling with the way that you’re able to handle things. Ensuring the growth of your own firm. If you’re an independent contractor or if you’re self-employed, then you might be confused when trying to monitor the success of your own business. This is especially true if you have just started working with your own staff or sub-contractors. In this case, you should definitely consider making pay stubs to help you out. Creating free pay stubs is one of the steps that will help you go in the right direction when it comes to taking your business to the next level of professional success. Evidence of employment. Through the use of pay stubs, employers can provide all of the information that’s in their employee-related workplace records. 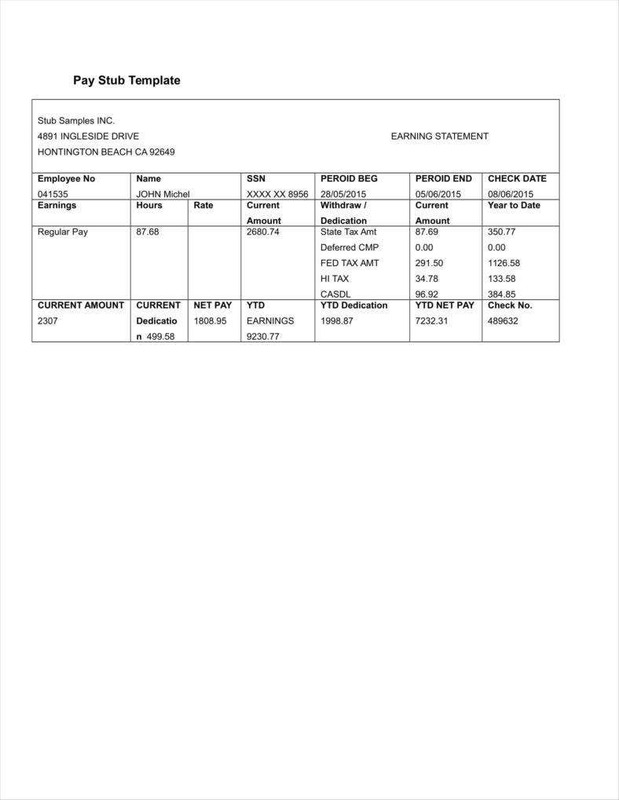 Pay stubs are the employee’s records from each pay period and it also shows that the employer is taking care of the payments in a professional and business-like manner. So basically, a pay stub can be used by the employee to show that he or she is working for the company. 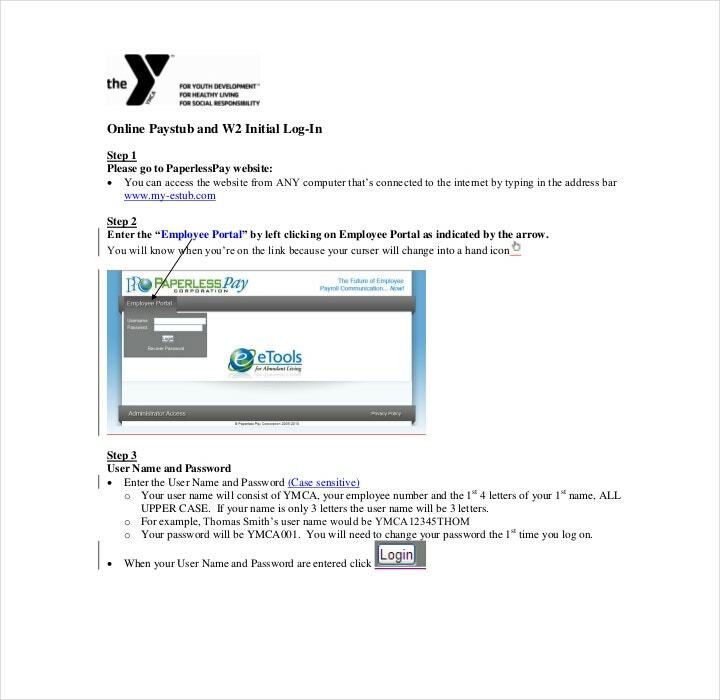 Easier payroll access. If you’re making use of online pay stubs, then you’ll find that it has a lot of flexibility when it comes to managing the payroll process. And it’s also because it allows you to process the payroll at any time, any place, and through any device. Although you have to remember that you have to pay your employees as per the local, state, and federal regulations. If you grow your business to the point where you can smooth out the payroll process, then you and your employees can expect that the payroll will be processed on time and ensure that the process remains consistent all throughout the business’s lifespan. No document storage. By making use of paperless electronic pay stub templates, it will make it easier for you to access all of the employee payroll data considering that it’s all in one place. Since your pay stubs are in an online system, they can be retrieved anytime that you wish and they can be made instantly available in the event that any one of your employees would like to view their own pay stub. A good eco-friendly solution. 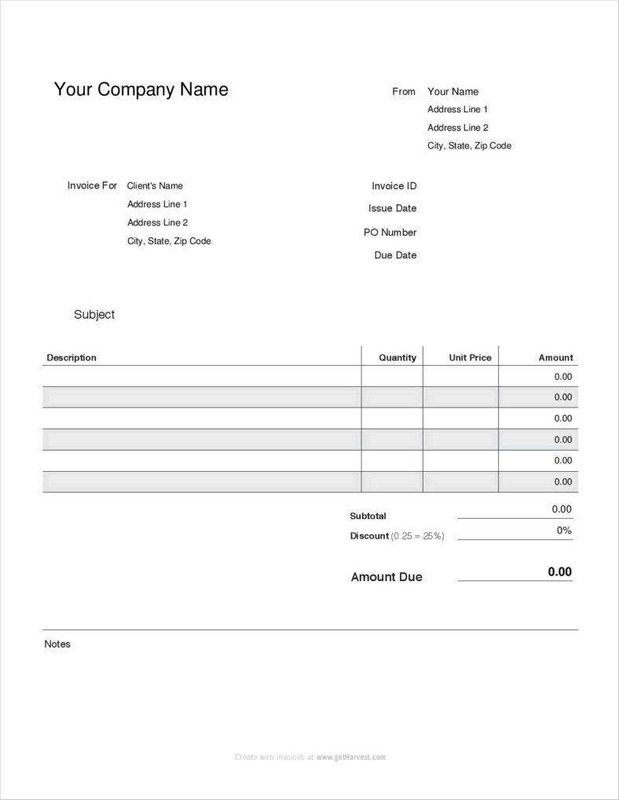 Electronic pay stubs aren’t just beneficial to your own business. They can benefit the environment as well. If you’re making physical copies of the pay stubs, then you’re just adding more paper and waste to the environment. So go with electronic pay stubs if you want to promote your company as one that cares about the environment. Increased convenience. Your business can benefit a lot from making use of electronic pay stubs. It can help reduce business costs since you won’t be needing toner, print, cartridges, etc. 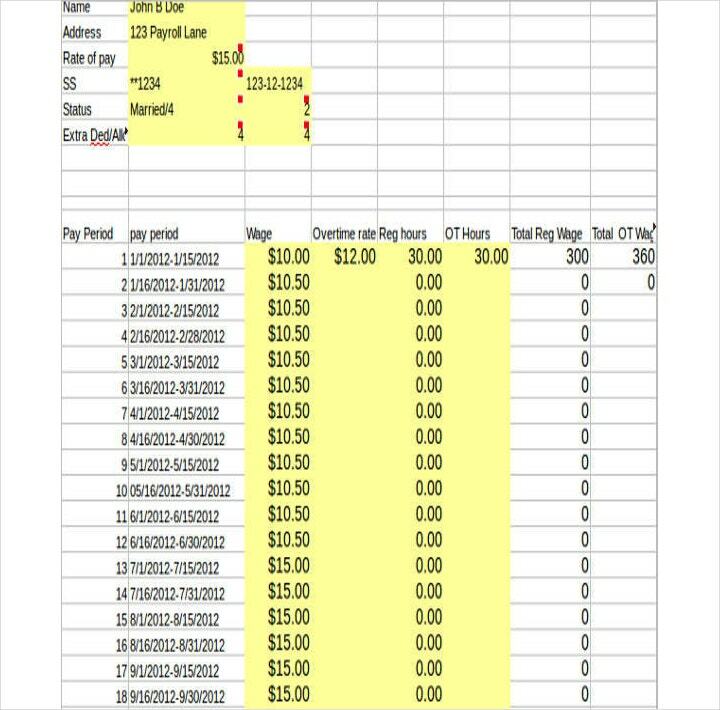 Electronic pay stubs also help employees out as they can just access them anytime they wish by opening up their e-mails. Additionally, it’s a great way for you to free up space in the office as you won’t be needing that file cabinet to keep records on your employees. Employee benefits. As said earlier, your employees will really appreciate being able to access their pay stub 24/7 by simply logging into their account and checking their email. And with options like direct deposit, employees no longer have to go through payroll management whenever they want to get their paycheck. Automatic tax compliance. With the help of blank pay stubs, you and your employees won’t be burdened by state and federal taxes. The reason for this is because payroll software solutions are able to automate these tax payments to ensure that you’re all compliant. So employees who are worried about not having their taxes paid can just check their pay stubs to make sure that they have done so. There are a lot of details that are included in a pay stub or paycheck stub that allow you and your employer to keep track of all payments and deductions. Generally, the items on the pay stub can be broken down to (1) gross wages; (2) taxes, deductions, and contributions; and (3) net pay. If you would like to know more about the three different parts, then take a look at each of the categories below. Gross wages are the starting point of an employee’s pay. This is basically the money that the company owes you before any deductions are taken out of it. The gross pay is calculated differently depending on whether the employee is paid hourly or by salary. If you’re being paid by the hour, then your gross pay will be based on the multiplication of your hourly rate with the number of hours that you have worked. If you’re a salary worker and you want to find your gross pay, then all you have to do is divide the annual salary by the number of pay periods within the year. Number of hours worked. 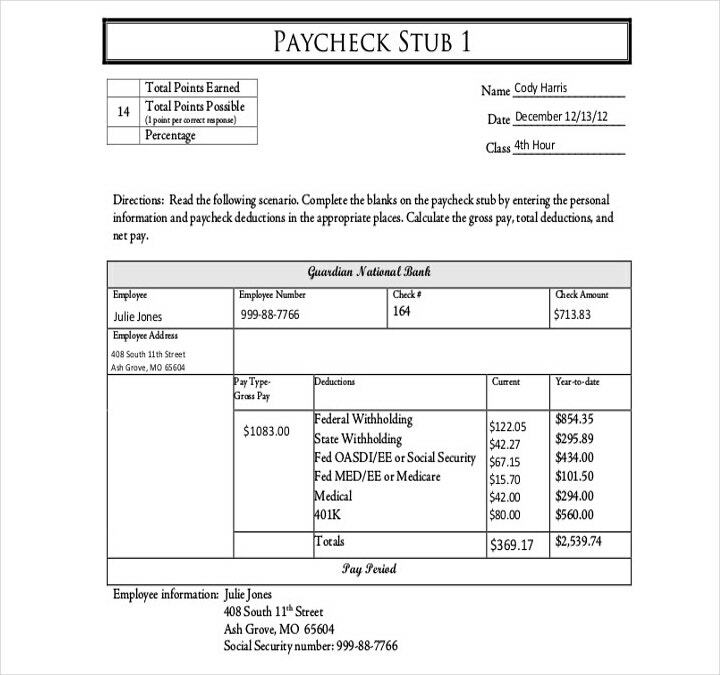 For those workers that are paid by the hour, then this information has to be within the pay stub. Salary workers can also have the number of hours worked placed in their pay stub. Non-exempt employees can work different hours from regular employees. They’re able to work either regular, overtime, or even double-time. When you’re making a pay stub, you have to be sure that you put each kind of hour worked in its own line. You must also separate the hours worked into current and year-to-date columns. Just remember to do all of this as this is the kind of payment information that hourly paid employees will look into to see if there’s a problem with their pay or if everything is alright. Pay rate. This is something that will tell the employees just how much payment they are due. For hourly workers, it’s best to take note of each employee’s hourly pay rate and place it on the pay stub. In a salary worker’s case, you can show the amount of the pay they are due for the pay period that they worked. Also, in the event that some of your employees pulled in overtime or even double-time shifts, then you’re going to have to record this within the pay stub. Gross pay. 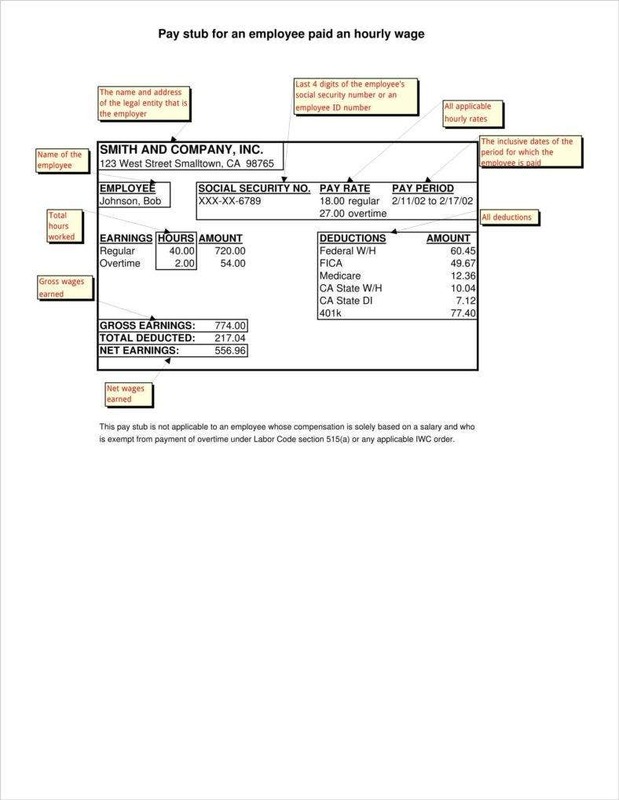 The pay stub should have this to show the employee the total wages that he or she earned before any of the necessary deductions. Besides an employee’s regular wage, there are also chances that an employee might earn additional income. This can come in the form of overtime pay, holiday pay, personal time, payroll advances, or bonuses. So once you’re making the pay stub, make sure to list each form of income in a separate line. Remember that gross pay lists each of the forms of income into two separate columns: the current and year-to-date payroll. This is what will be deducted from the employee’s gross pay. With things like taxes and other deductions, an employee’s earnings will be reduced. 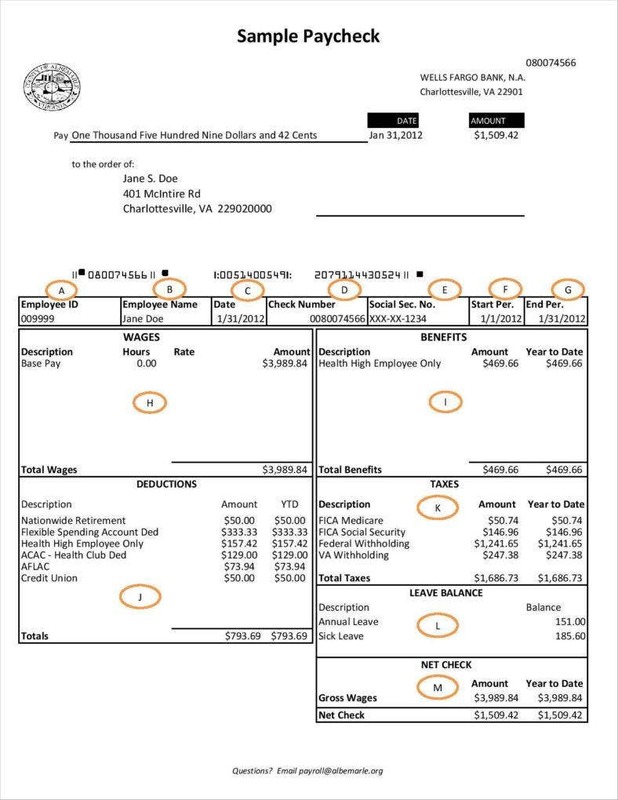 The pay stub has to itemize these deductions so that the employees will be able to see just how much from their gross pay was taken out and where the money is going. Employee tax deductions. It’s usually government agencies such as the IRS that tax an employee’s pay. The common taxes that are deducted from an employee’s pay are federal income taxes, state taxes, and even local income taxes. When you’re placing these on the pay stub, make sure to use a separate line for each tax type and show the current amount that has been deducted from the pay period and the year-to-date. 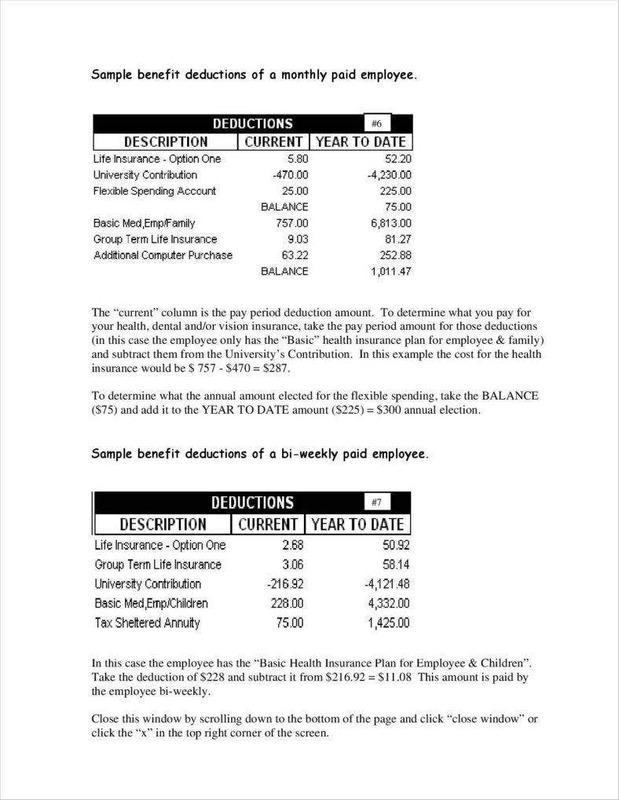 Benefits and other deductions. Other payroll deductions will depend on the kind of benefits that your business provides to its employees. A good example would be an employee contributing to retirement plans. Deductions could also include loan payments, charitable contributions, and any other type of voluntary deductions. Be sure to list each deduction on its own line, and show the current and year-to-date totals. Employer contributions. There are some items in the employee’s pay stub that do not deduct anything from the employee’s pay. These amounts reflect an employer’s contribution to the employee. A good example would be the employer paying FUTA tax, SUTA tax, and the employer portion of the FICA tax. An employer could also contribute to employee benefits. These benefits include insurance premiums and small business retirement plans. Each of these contributions has to be listed on their own line. This would be the amount of money that’s left over after all of the necessary deductions have been made from the employee’s gross pay. Basically, it’s the amount of money that the employee gets to take home. The net pay is the amount that you write into the employee’s paycheck or what should be directly deposited into the employee’s bank account. You can find the net pay for the current pay period as well as the one for the year-to-date. Since the pay stub itemizes both the earnings and the deductions, then it should make things easier if an employee wishes to check its accuracy. So in the event that there’s a problem with the employee payroll regarding a particular employee’s salary, then all you have to do is explain everything that’s in the stub. 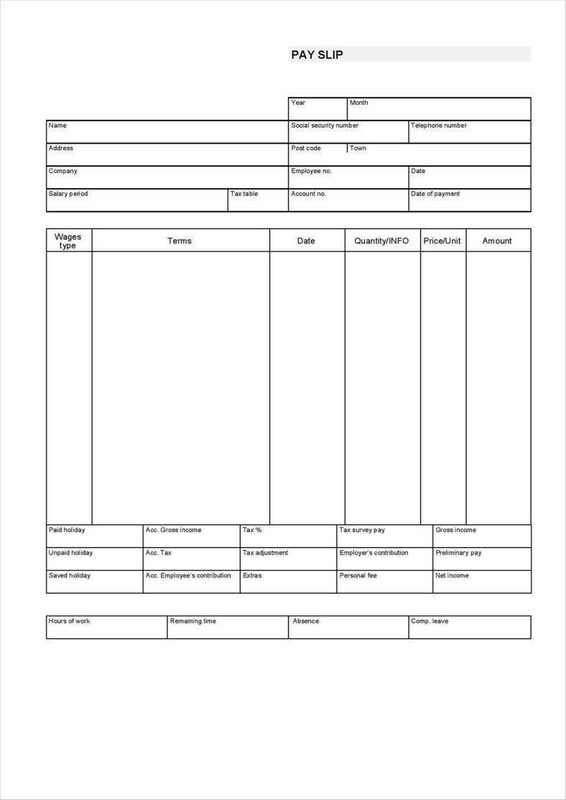 The first thing that you are going to have to do is to download a pay stub template. These can be found online and they’re relatively low-priced; some of them can even be downloaded and used for free. Once you’ve done that, the next thing you’re going to have to do is to paste it into your spreadsheet program. 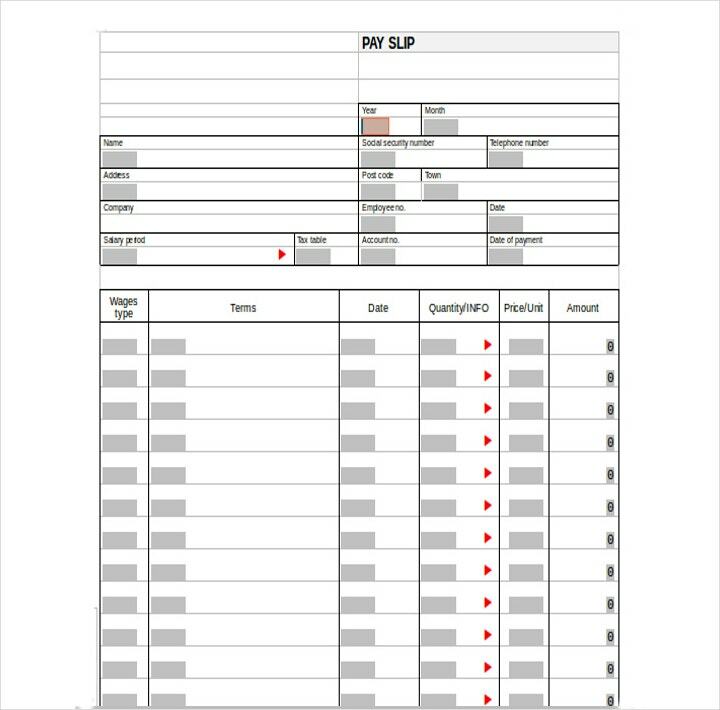 Next would be for you to open up your computer’s spreadsheet application, such as Microsoft Excel, and create your own pay stub if you do not wish to use a template. You’ll have to give your spreadsheet a header that should contain the name and the address of your company. 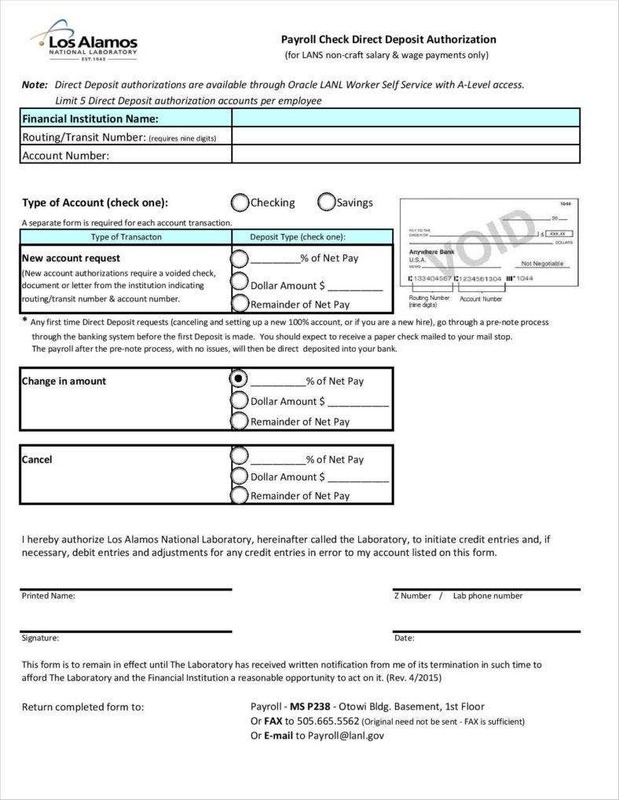 Place the employer’s full name and social security number on the left-hand side of the pay stub. And right across this information, you’ll have to list down the pay period and the date that the paycheck was written. 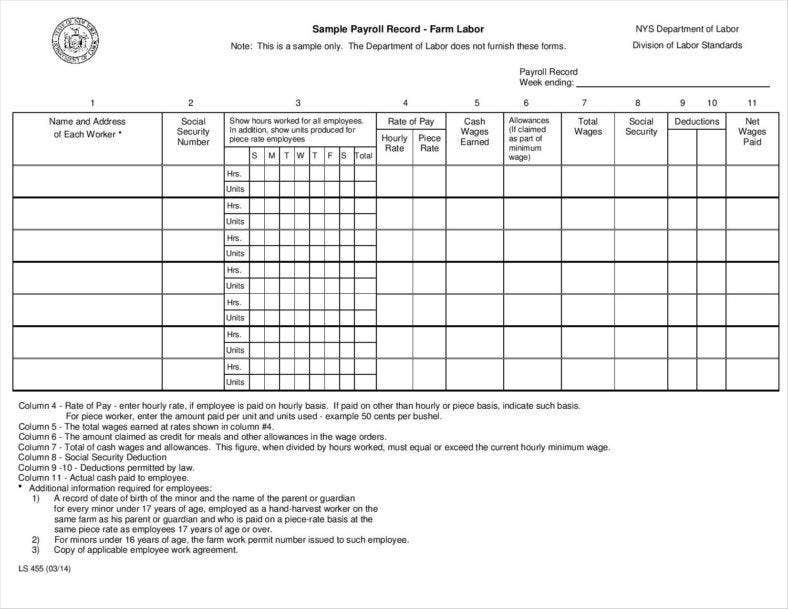 The next step would be for you to list the name of the employee and above it would be the employee’s rate of pay, which also includes the rate of overtime. Follow that up with the number of regular hours and overtime hours that the employee has worked on the next line. Go to the next line and list down all of the deductions that have to be taken out of the employee’s wages. These deductions may include federal taxes, state taxes, social security, health insurance, Medicare, and more. Lastly, finish the pay stub by listing down all of the year-to-date information. 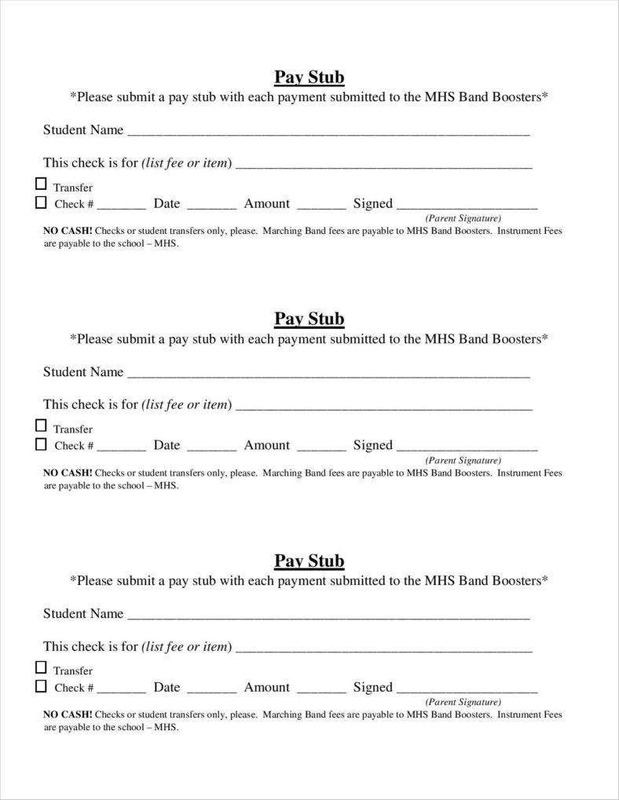 Then you may print out and distribute the pay stubs to the employees along with their paycheck. Or you can also have the option to send the pay subs via email. 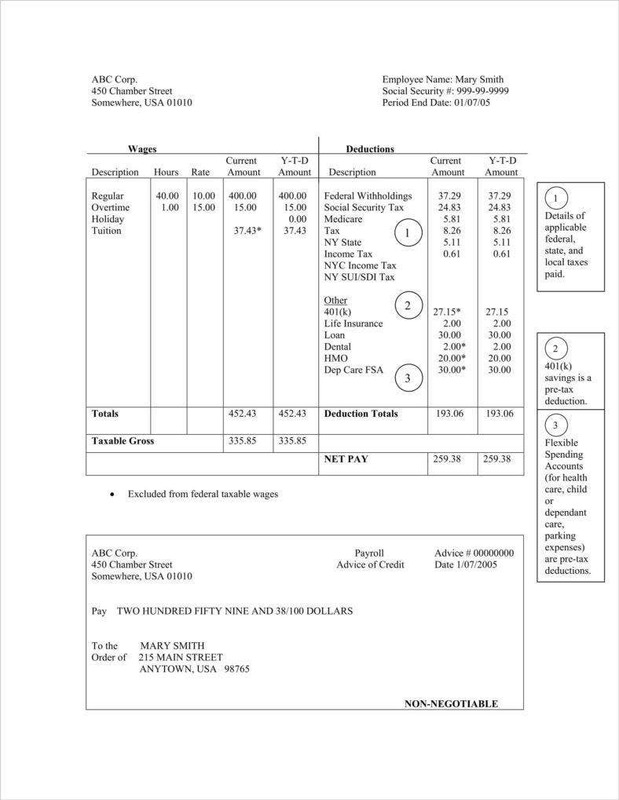 Once you understand the layout and terminology of a basic pay stub template, then you can accurately track just how much money you’re earning, how much you get to take home with you, and how much of your money went into taxes and withholdings. 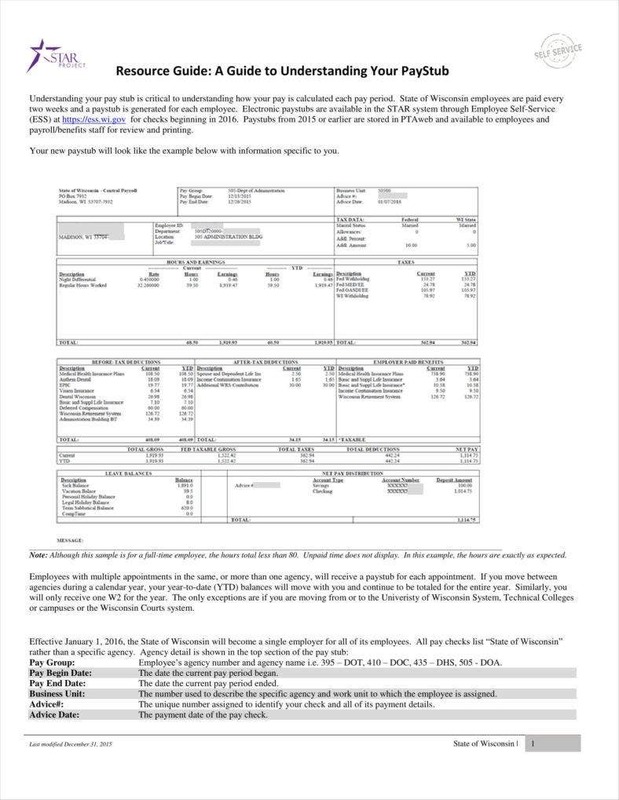 So to help you here are information that should help you read your own pay stub. When you’re going through the top of your pay stub, you’ll be able to find your basic information. This would include the complete name of your employer, his or her address, and the date that the paycheck was issued. You may also find information regarding the parts of the company that processes your payroll. 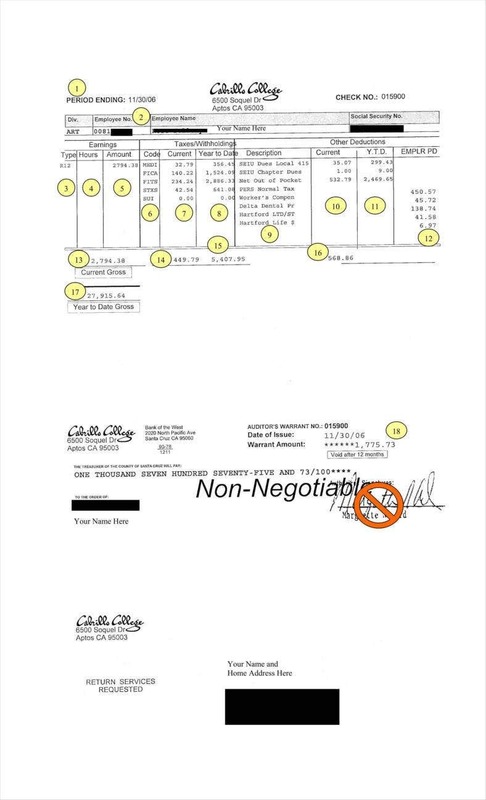 You will likely find the check number at the top of the pay stub. This information is very useful for when you would like to enter it into your financial records to help you keep better track of your income sources and amounts. And in the event that there’s anything wrong with the information in the pay stub, all you have to do is check with the human resources department so they can help you fix the problem. Find the area in your pay stub that’s labeled as “Gross Pay”. The gross pay will always be around a certain period of time; this would be the pay period. The pay period will vary in length, which means that it all depends on your employer. These pay periods may cover weekly, bi-weekly, or even monthly periods. While other periods are possible, they are not as common. 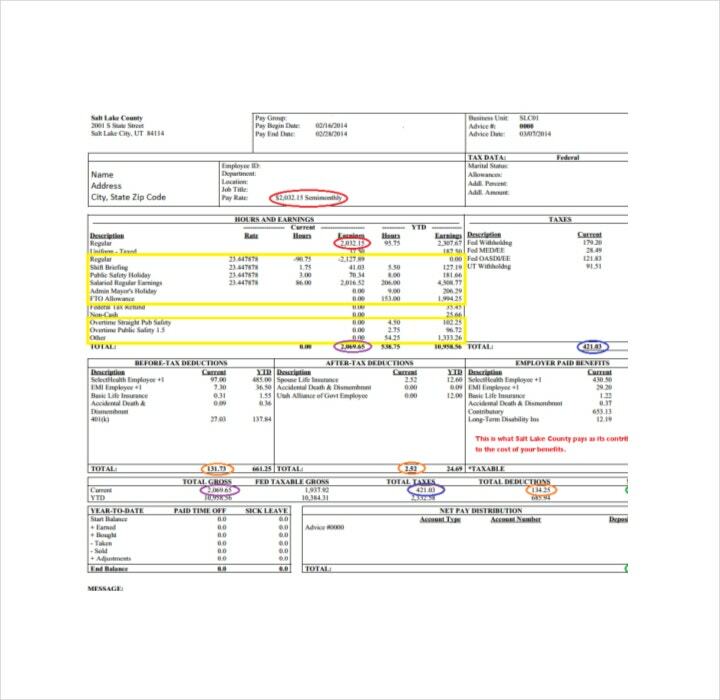 Locate your net pay by going over the free pay stub template and finding the item that’s labeled as “Net Pay”. As mentioned before, this is the amount of money you get to take home with you after your gross pay has been deducted from any taxes and withholdings. Look for the “Federal Tax Amount” to know just how much of your salary is going to federal taxes. The amount will depend on the number of exemptions that you have claimed on your W-4 form. In the event that you would like to change these exceptions, then you will have to fill out a new W-4 form. You may contact human resources if you would like to know how to best make changes to it. Find the item labeled as “State Tax” if you would like to know how much is going to that state that you live in. Remember that state tax will depend on the state that you live in, and you have to remember that not all states collect taxes. Locate the item that’s labeled as “Social Security” to see how much money is going to your social security account. 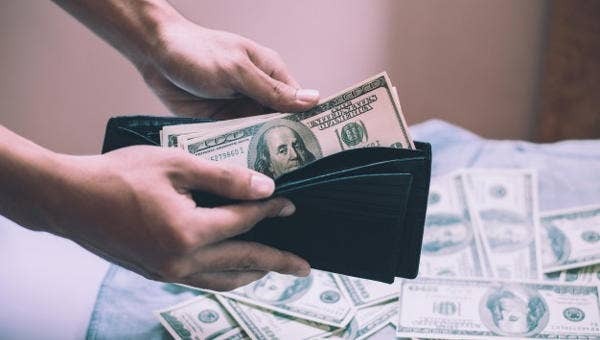 Paying this will help finance your retirement in the future. Both you and your employer will contribute 6.2% of whatever income either of you receives to social security payments. Find the area on your pay stub that’s listed as “Medicare”. This is the program that handles your medical payments and billing when you’re eligible for social security. Medical payments are usually set at 1.45% of both you and your employer’s paycheck stub. In the event that you would like to know more about pay stubs, then you may go through our other available articles on pay stub examples and templates that will give you more tips on how to create pay stubs.